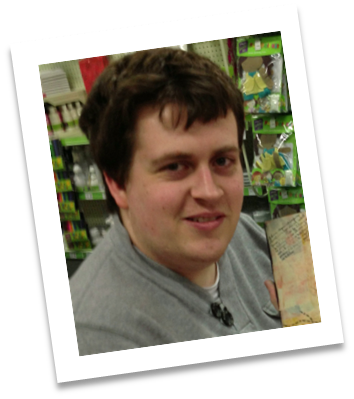 I'm Andy Duggan and I'm so thrilled to have been selected to be in the top 5 for challenge 13 (unlucky for some eh?). By day I'm a 26 year old psychology lecturer from Middlesbrough, teaching A-level psychology to 16 to 19 year olds and also running a GCSE science evening class. I'm also a Registered Scientist and enjoy sharing my passion for science with one and all. I must say that I love my job and work with some of the most inspiring people. By night, however, I'm a crafter! 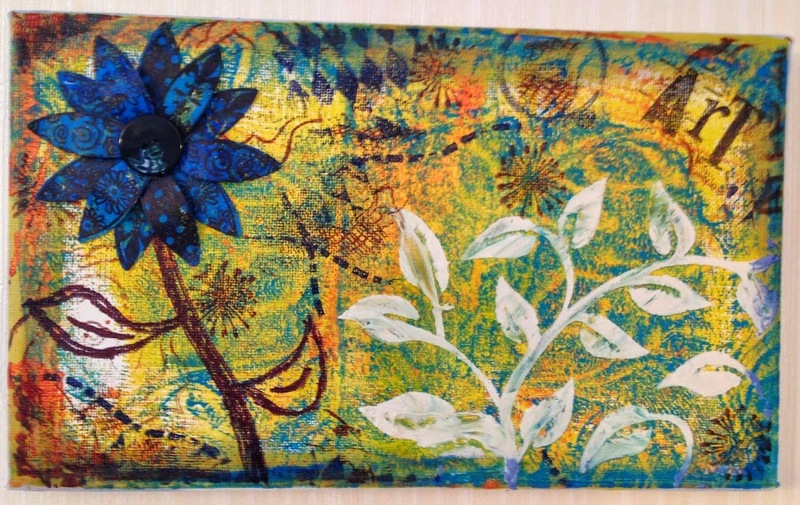 I've been interested in crafts for quite a few years but only took the massive plunge after seeing Barbara Gray using her gelli plate in June of last year. This is when I fell in love with Clarity and I've not looked back since. I've gone from having one shelf of craft stuff, to a cupboard full and now I have two cupboards and a bag. I would say that 90% of it is probably Clarity stuff! The best bit about crafting has got to be taking a blank medium, a few inks, paints or anything else that goes and combining them to make something beautiful which can be given to a loved one. I now have two gelli plates as I love using them so much and I'm definitely getting into a more 'altered art' phase at the moment! I'm now looking to expand my crafting horizons, having attended some fab workshops with Sam Crowe and Maria Simms (truly inspirational people) and hope to start selling some of my crafty goodies. It would be a dream of mine to one day be on the Clarity Design Team and who knows, maybe start running my own workshops. I look forward to chatting to more Clarity fans and hopefully seeing you at some workshops, where you'll probably meet 'Andy's Mam' as well! Thanks for sharing your crafting journey Andy!